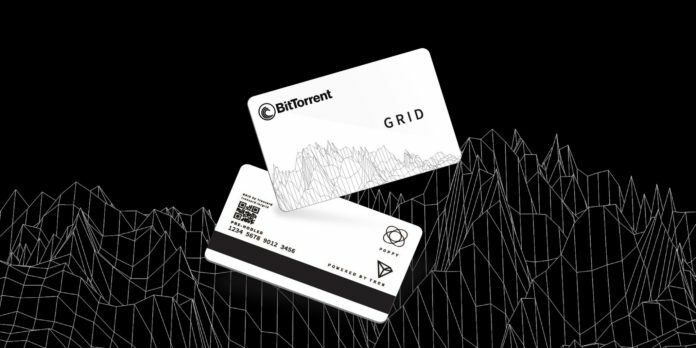 Introducing the BitTorrent $BTT card, powered by #GRID. Receive, store and use $BTT on the go! 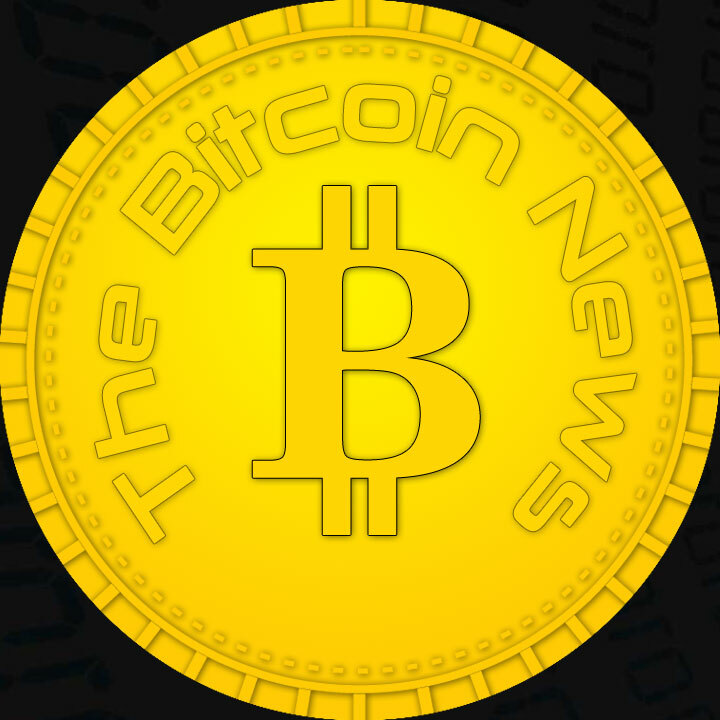 sophisticated enough to address the needs of cryptocurrency experts. Troncard and GRID provide users with a secure and anonymous TRON wallet accessible through a card you can carry in your pocket. It’s familiar like a credit card. Troncard and GRID provide seamless functionality at retail establishments through the Poppy point of sale payment system. Since both Troncard and GRID are built on the TRON Network, they are fully compatible with any cryptocurrency wallet equipped to work with TRX. To provide the best possible solution to the needs of different users, Troncard offers two solutions. of TRX coins. Troncard is anonymous and your balance never expires. compatible with any TRC10 tokens. is made to be fully compatible with our point of sale partner, Poppy. 3.5% annually. *See card rewards section below for exact details. of redemptions, while requiring no new hardware. Troncard will be shipped to the address you provide via Amazon or another third-party fulfillment company, depending on the region of the world the card is being shipped to. The fulfillment center will select a card at random to ship. There will be no record of which card is shipped to which address, making it impossible to link a specific Troncard to a specific order. with TRON coins (TRX) in an amount equivalent to your purchase price. solution to buying, holding or gifting TRON. the Troncard dashboard to manage your TRX and GRID card. GRID will be available for sale on Troncard.io beginning in December 2018.
impossible to link a specific GRID card to a specific order. time of purchase. 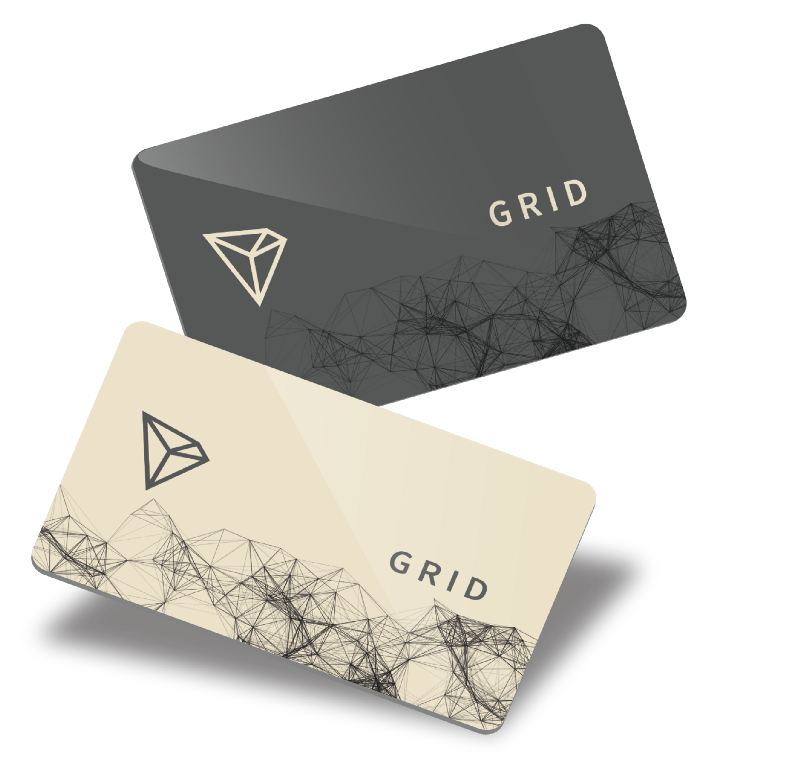 Visit troncard.io for further information on purchasing GRID. first day of the following month at midnight UTC. there is still a balance on the card. until the balance is spent at 05:00:01 UTC Tuesday. voting decision(s) at any time. confirmation layer to be built on top of the existing TRON Network.